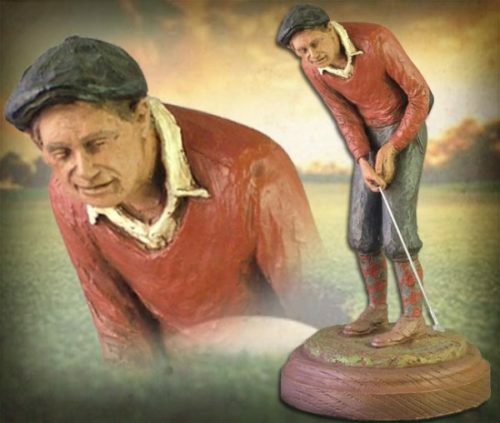 This handmade sculpture by Michael Garman celebrates and honors the early American golfers who pioneered the game, playing for the enjoyment of a long afternoon on the green and the hope of a birdie on the next hole. 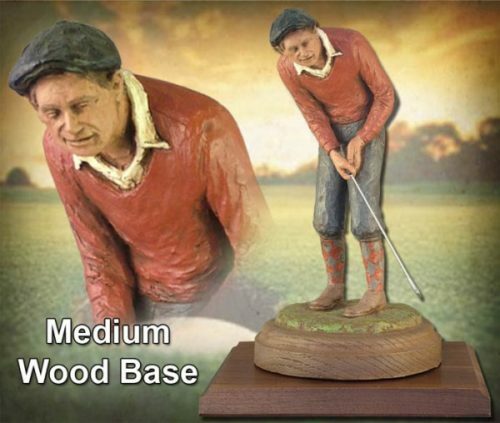 Sculpture measures 11.5″ tall. ©1987. Handpainted finish. 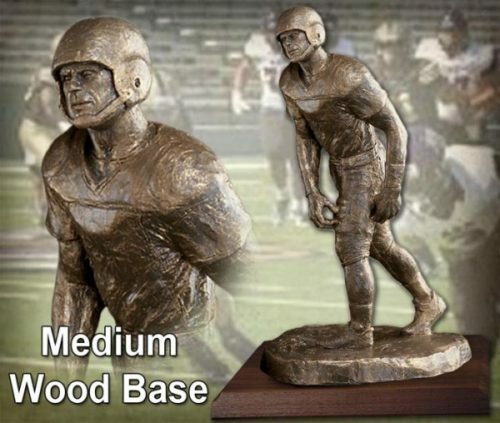 Includes sculpted faux-finish base. #F297.